The DGS-1210 Series Smart Switches is the latest generation of D-Link Smart Switches featuring D-Link Green 3.0 technology. The series offers a high level of energy saving and efficiency, as it also complies with the IEEE 802.3az Energy Efficient Ethernet standard. Support for IPv6 management and configurations ensures your network remains protected after the upgrade from IPv4 to IPv61. By offering multiple management options, the Smart Switches allows quick deployment, infrastructure expansion, and seamless function upgrades. Built for small and medium-sized businesses, the DGS-1210 Series Smart Switches provide functionality, security, and manageability for a fraction of the standard cost of ownership. The DGS-1210 Series Smart Switches includes a range of affordable PoE-enable switches for businesses looking to power VoIP phones, wireless access points or network cameras. The DGS-1210-08P1 is a 8-port Smart PoE Switch that provides 8 PoE-enabled ports that can supply power of up to 15.4 W each. Whereas the DGS-1210-24P1 is a 24-port Smart PoE Switch that provides 12 PoE-enabled ports that can support up to 30 W of power output following IEEE 802.3at standard. The design allows more flexibility in power allocation for a variety of powered devices with affordable installation costs. The D-Link Smart Switches series is designed for easy management. 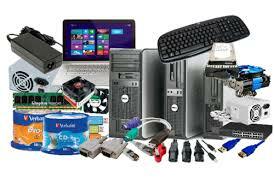 All configurations can be made through a Web interface regardless of the host PC’s operating system. Furthermore, the web UI contains ten language options to make operations more straightforward. During the first installation, the D-Link Network Assistant2 will automatically discover all D-Link Smart Switches in the network, allowing administrators to assign IP addresses and the subnet mask quickly. It also allows simultaneous firmware upgrades to multiple switches, saving a great deal of time. The D-Link Network Assistant1’s important management commands, such as downloading firmware or a configuration file, offer a sophisticated method of batch operations for multiple switches. DGS-1210 switches are capable of conserving power without sacrificing operational performance or functionality by using D-Link Green 3.0 technology. Using the Energy Efficient Ethernet standard, the network will automatically decrease the power usage when traffic is low with no setup required. For environments not fully supporting the standard, DGS-1210 switches offer advanced power-saving settings including port shutoff and standby, LED shutoff, and system hibernation based on custom scheduling profiles. The profiles can also be applied to the PoE switch so that there is no unnecessary power consumption during off hours. The DGS-1210 Series switches can also detect the length of connected cables to automatically reduce power usage on shorter cable connections. 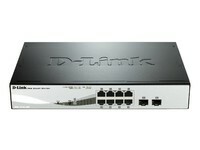 The process of setting up IP surveillance and VoIP on a network is automated with the D-Link Smart Switches. Auto Surveillance VLAN (ASV) consolidates data and surveillance video transmission through the network, sparing businesses the expense of maintaining dedicated facilities. ASV also protects the quality of real-time video by grouping IP surveillance devices on a single high priority VLAN. This ensures that surveillance video streams will not be affected when ordinary data traffic is at their highest levels. Similarly, the Auto Voice VLAN guarantees clear audio quality and efficient transmission for all voice communication.